RICHMOND — Edison did plenty of damage on its own against Beaver Local, but the Wildcats also took advantage of several miscues by the Beavers en route to a mercy-rule victory. The Edison baseball team scored multiple runs in three innings before tallying the game-ending run in the fifth as the Wildcats took down the Beavers, 12-2, in five innings Friday out at Jefferson Lake State Park. Beaver Local (5-6) head coach Mike Agnew declined to comment. 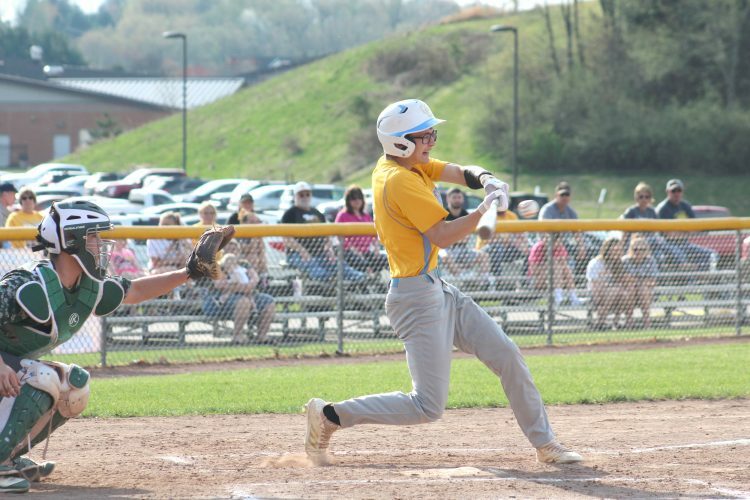 Edison pounded out eight hits, but the Wildcats took advantage of eight walks, six errors, five wild pitches, two hit batters and a balk by Beaver Local. The Wildcats tallied three runs in the bottom of the first, two in the second, six in the fourth and one in the fifth. The Beavers plated a run in the fourth and another in the fifth. Schmitz picked up the win for Edison. He struck out five, while walking two. Luke Call took the loss for Beaver Local. He struck out one, while walking eight in 3 1/3 innings of work. Ryan Zywiec did not record a strikeout or a walk in his one inning of relief. Six players recorded at least one hit for the Wildcats. Anthony Sinicropi and Connor Hyndman each singled home two runs. Tristan Haught and Riley Watson each collected an RBI single. Andrew Kinney delivered two singles. Also, Dalton Cresap and George Ash each produced an RBI. The Beavers ended up with four hits. Trey Pancake tallied two singles, Luke Call and Mike Agnew each collected a single, and Cameron Lane and Danny Davis each delivered an RBI. Edison is scheduled to play against Meadowbrook at 1 p.m. today at home in an OVAC Class 4A semifinal. The Wildcats are the No. 2 seed, while the Colts are No. 3. Beaver Local is slated to play at John Marshall in a doubleheader today. BL– Luke Call, lp (3 1/3IP, 7R, 6H, 1K, 8BB), Ryan Zywiec (1IP, 5R, 2H, 0K, 0BB) and Carter Wolski.